Can you believe it? Christmas is less than 4 weeks away! I’m not sure where the time is going and that’s why I started the countdown several weeks ago. Although there’s a long list of preparations, I feel so much better about where I’m at this year. How about you? If you’re just jumping on the Holiday Countdown wagon, I suggest you take a look at what we’ve been up to weeks one to five. Donate to a charity or give your time. This month I donated to the Children’s Cancer Recovery Foundation of Canada. They are putting together Bear-Able gift bags full of items, such as board games, toys, crayons, coloring books, markers, video games, puzzles, books, teddy bears, craft kits…all sorts of things that make children smile and laugh. They will be distributed to hospitals across the country. The Bear-Able Gift Program is the largest supplier of gifts to children with cancer in North America. Do something crafty. My house has been in a state of disarray this week. I have several craft projects going on simultaneously. My kitchen table is half covered in decoupage supplies and semi-completed ornaments, my basement work table is currently being used as a spray paint booth and my office console table is stacked with ribbon, paint bottles, and other craft supplies. All of this mess will eventually turn in to projects I will show over the upcoming weeks. Start gathering gift wrapping supplies. I’m always on the look out for fabulous gift wrapping supplies any time of the year. I have to say that I’m drawn to wrapping paper, gift bags, ribbon and tags probably a lot more than the average person- they make me happy! To tell you the truth, I buy most of my supplies in January when everything is heavily discounted. However, I did stumble upon some beautiful tissue paper and ribbon this week that I just had to buy. I don’t care how old you are, advent calendars are fun. Although my son is 16, he still likes opening a little something starting December 1. In the past I’ve done the traditional chocolate, but this year I’m going to change it up a bit with notes that say what it is. For instance, it could be a hot chocolate from Starbucks or a chore he gets out of that day. I think it will be fun! Remember the photos I suggested you take back on week one and the cards you were supposed to select on week four? Well, it’s time to get them ready and send them on their merry way. A couple years ago (after kicking myself time after time) I decided to set up a system for organizing my cards. They were starting to pile up and it was hard to know what to do with them. What I decided to so was keep one or two favorites from each person in a large envelope and try to reuse the remaining cards in another way or recycle them. Now I often use part of the cards as gift tags. I hope you’re enjoying this series. We’re more than half way there and we’re going to be getting into full out decorating, entertaining and enjoying the season whole-heartedly. I’d love for you to follow along on the Satori Design for Living Facebook page too! Also, I want to send out a big thank you for all your wonderful comments! Great post!! I am almost finished with my inside decor- now onto the outside. The hard part is convincing the hubs to put up the lights. 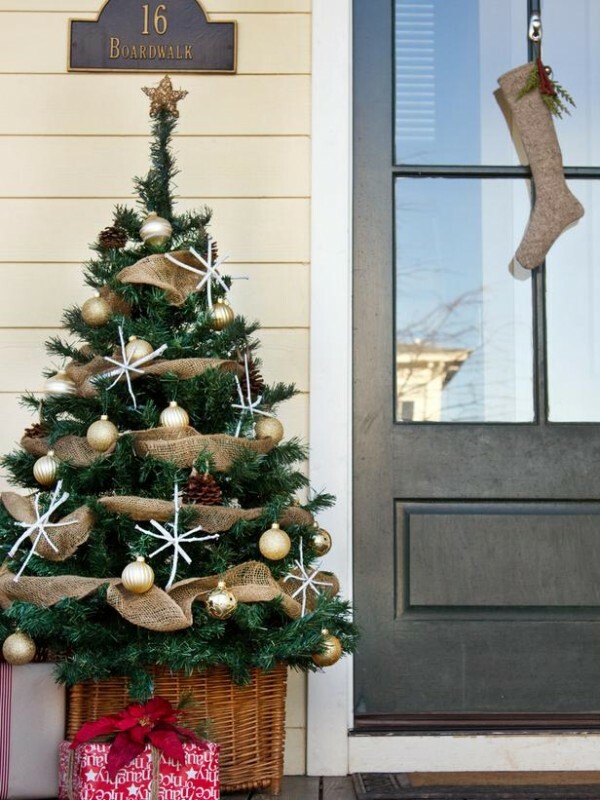 I LOVE the Martha Stewart front porch with all the greenery-i’ve had that pic saved in my inspiration file! I did buy real wreaths this year for the outside-we’ll see how they hold up in this Texas humidity. Hi Amanda, I love your coffee table decor and I’m going to do something like that this year. I haven’t done too much decorating yet. It will all start this week, especially with the front porch. I was waiting to buy fresh as well- I mix it with faux and that seems to work well. Thanks for popping by. Love your blog! Like this post! 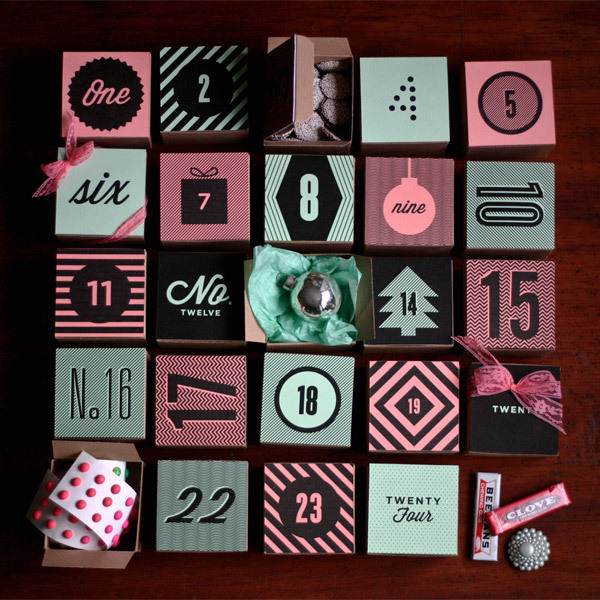 And i love the ornament advent calendar! I haven’t started on the inside yet….still have the vintage turkeys on the mantel! But I have filled my antique white cement urns on the front porch with various greens and winter berry branches. This is a great series…Thank you for keeping us on track Shauna! Thanks Renee! I find that the series keeps me on track too and that’s why I wanted to write it. I love all of these ideas. I particularly like the baby socks idea. So cute! By the way, I am behind and need to kick it into high gear. Thanks for linking up to the party!